TWO UWA students had the chance to tackle global issues during their recent internships in New York City. Law student Jessica Vu and psychology student Shakira Donovan took on three-month internships with Global Citizen, offered through UWA’s McCusker Centre for Citizenship. 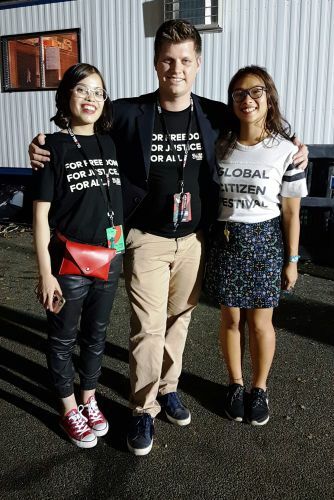 Global Citizen advocates for an end to poverty and focuses on world challenges like ending child marriage, educating girls and eradicating polio. Ms Vu said the organisation is a platform for millennials to take action on matters they care about. “The internship has shown me practicing law is not the only way I can make an impact with my legal qualification,” she said. Ms Donovan worked as a policy intern in the global health team, and said her eyes were opened to mental health on a world scale. “Mental health is a neglected area in most developing countries and countries where there are humanitarian crises,” she said. One of the highlights of the pair’s time in New York City was helping run the annual Global Citizen Festival, which was attended by thousands including Coldplay’s Chris Martin, the festival’s creative director. Ms Vu and Ms Donovan are part of over 350 UWA students who have taken part in the McCusker Centre’s internship program and contributed almost 38,000 hours to communities locally, nationally and internationally.